With Belkin’s WeMo Switch, life gets a little easier to manage––or at least the technology side of it does. Simply plug a home appliance or device into the WeMo switch, then plug the WeMo into an outlet. You’ll be able to control the appliance from your phone via the WeMo app. Use it to turn on or turn off lamps, the coffee maker, even the crockpot. In your crazy-busy world, this is technology with a good dose of sanity. This is cool and hot at the same time. The Nest Learning Thermostat is the device that is changing the way we heat and cool our homes. Install it yourself. Once it’s up and running, you’ll control your furnace and AC with your smart phone. The second generation of Nest is even sleeker and smarter than the original. Give it a little time, and it learns your habits and preferences––there’s no need to program it. If you sleep in on weekends, it will adjust and kick on the heat or air conditioning to your preferred daytime temp when you get up. And hey, there are no worries about compatibility; it works with 95 percent of HVAC units on the market and with most whole home humidifiers. Let’s face it. Nobody wants to be tied down to a TV provider contract anymore. This explains the growing popularity of TV streaming devices, or “set-top boxes.” They allow you to stream your favorite shows and movies directly to your TV, via your Wi-Fi connection. They not only can save you some serious cash, but they enable you and your family members to view content whenever they want, without the disruptive commercials. The Roku 3 is one of our favorite devices in this category. It has a great user interface, so you can easily find and browse over 1,000 TV channels or services (the most of any set-top box), including Netflix, HBO Go, Hulu Plus, and more. This model comes with a great remote that has a built-in headphone jack; it doubles as a motion controller for games. And yes, it lets you control the TV from your cellphone, so it’s easy to send music, pictures and video to your big screen. Plus the cool cross-platform search option lets you find all the places your favorite show is playing without having to check channels individually, a function other set-top boxes don’t offer. The great thing about home security systems is that they’re getting smarter, yet even easier to manage. 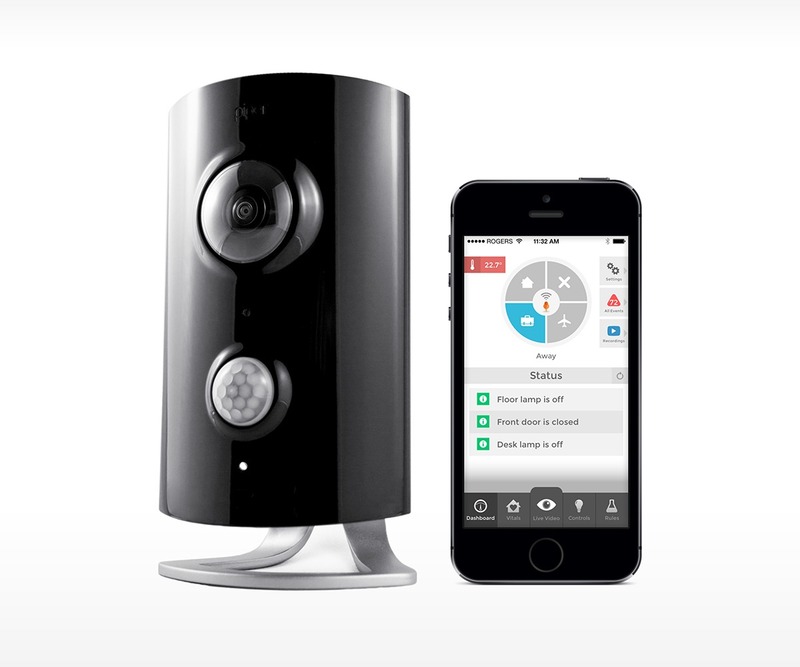 The Piper is a Wi-Fi enabled system that keeps you one step ahead with some pretty impressive features, including: HD panoramic video, a siren, a motion detector, 2-way audio, environmental sensors, customized alerts, and home automation. With Piper, there’s no service contract, monthly fee or installation. Once it’s up and running, you’ll have a complete view of the security situation in your home, via your smartphone, no matter where you are. The innovative Piper app offers fully customizable security alerts based on your level of concern. You can ask it to tell you “the front door was opened” or “motion was detected”. You can establish situational rules, too. For example, if motion is detected in your home, video will automatically record. The Piper even gets along well with other technology, integrating with smart devices (like all of your Z-Wave products) to give you a holistic view of everything going on in your home. To make sure you get the most out of your connected appliances, protect them with an extended warranty from your retailer. Visit www.asurion.com to learn more.